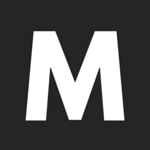 The call for civil disobedience is inevitable. As long as the federal government of Nigeria fails to do what is prerequisite of them. The challenges they are ephemeral through today will continue to punch them on their faces. Is better they allow the Indigenous People Of Biafra (IPOB) to conduct their referendum peacefully to determine their fate, whether they wished to be on their own as a nation or to remain in the Lugardian creation called Nigeria. Since the FG of Nigeria removed history from the school curriculum in the bid to hide the crimes they committed between 1967-1970 bitter civil. Many of the citizens knew nothing about the Nigeria/Biafra; which took about 6.1 million precious lives because there was no history to narrate such genocide extermination against the Biafran populace. Do you know that many citizens in Nigeria never knew Adamawa State was once part of the northern Cameroon not after 1961? The British government allowed a referendum to be conducted in Adamawa to know their fate. But the same British government refused to let the people of Biafra to do likewise. I believe this is because we have remained peaceful in our pursuit for freedom. Below is the brief history of Adamawa state which the current presidential aspirate Atiku Abubakar is from. Traditional emirate centred in what is now Adamawa state, eastern Nigeria. The emirate was founded by Modibbo Adama, who was one of Sheikh Usman dan Fodio's commanders and who began a Fulani jihad (holy war) in 1809 against the non-Muslim peoples of the region. Adama moved the capital of his kingdom, which was then known as Fumbina, several times before settling it finally in 1841 in Yola, which has since remained the seat of the emirate. At his death, in 1848, Fumbina extended over parts of present-day eastern Nigeria and most of northern Cameroon; even as the easternmost emirate of the Fulani empire, however, it was required to pay annual tribute (mostly in slaves) to the sultans at Sokoto, the Fulani capital, 555 miles (890 km) west-northwest. Adama was succeeded by four of his sons. Lamido (Lord) Hamman (usually known as Lawal [Lauwal, or Lowal]) consolidated Fulani control during his reign (1848–72). During the weak rule of Sanda (Saanda; 1872–90), the Royal Niger Company established trading posts along the Benue River in Adamawa; when Emir Zubeiru (1890–1901) tried to force the British to leave Yola in 1901; British troops captured the town and compelled him to flee. After Adamawa was partitioned in 1901 between British Northern Nigeria and German Kamerun (Cameroon), Bobbo Ahmadu (Bobo Amadu; 1901–09), Adama's fourth son, became emir of Yola in the British section of the state. After World War I, part of the Cameroon portion of the emirate came under French administration and part remained under British rule. The emirate's territories eventually came to form almost all of northern Cameroon and part of eastern Nigeria. The above analysis tells you all you need to know. In the real sense, the republic of Nigeria was not a nation nor a country but a company. A British asset and everyone in the contraption is a British slave. The Indigenous people of Biafra has revolted and made their stand to leave the unholy marriage. We are not interested on who becomes the Nigerian president because Nigeria itself was a British concoction. We will continue to clamour that Royal Niger Company (Nigeria) must be dissolved peacefully or in pieces. Enough is enough for the elites which knew nothing about history. Come 16th February 2019; IPOB will boycott the fraudulent election. Until they understand that Self-determination is enshrined under UN Charter. The indigenous people have the fundamental right to agitate for her sovereignty. And before I end this piece, I wished to ask again. Does terrorist vote? Am still searching on the internet where I could lay my hands on a piece on where in the world a government would proscribe a peaceful activist without arms a terrorist organization but only in Nigeria. Shamefully the same government that proscribed these peaceful agitators without arms terrorist are now telling the same terrorist to vote. The enormous question is. Does terrorist vote? Your answer is as good as mine. In summary, am urging our people to remain resolute in the pursuit for freedom. 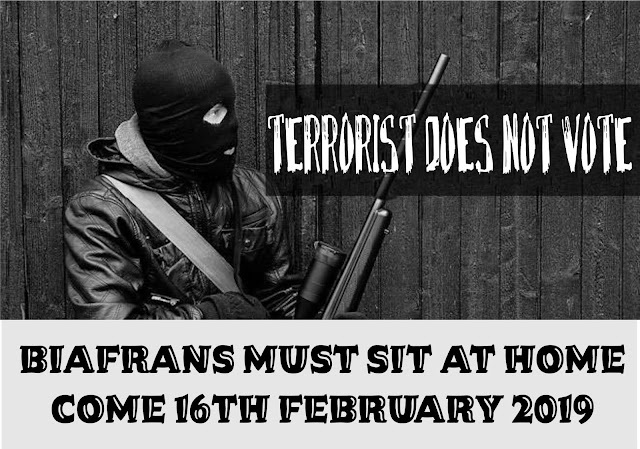 Sit-At-Home comes 16th February 2019. If you truly love your life and wished to live to see the republic of Biafra as a nation. Sit-At-Home and enjoy your “Ofe Ukazi”, nobody will come and drag you out from your residence to vote in any murderer. There is saying ‘A word is enough for the wish’. All hail Biafra the children of light.